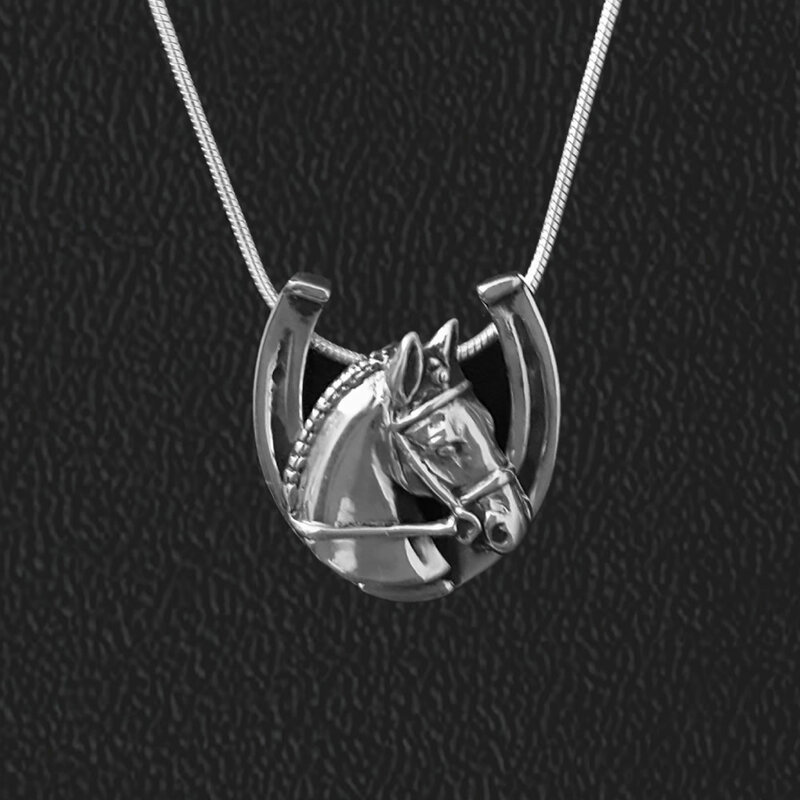 Neatly braided and ready for the show ring, this brand new sterling silver mini horseshoe pendant is a sure winner! 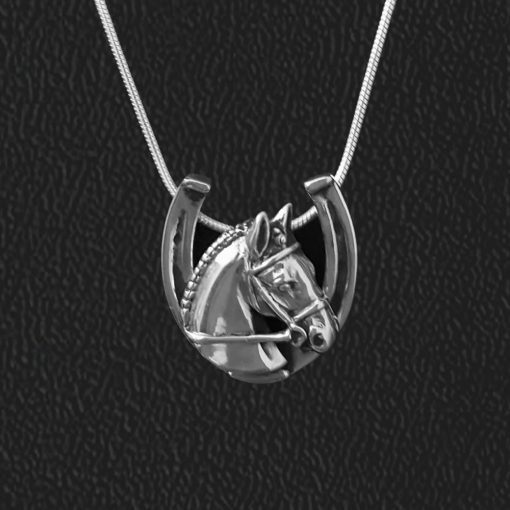 Wear it under your show clothes for good luck. 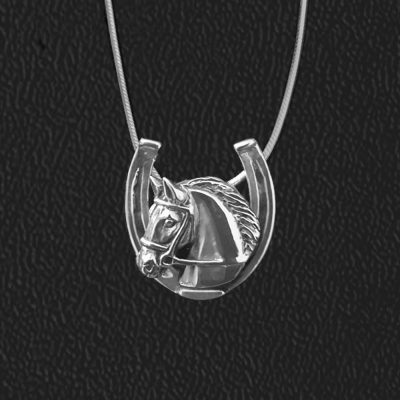 Measuring just 3/4″ by 3/4″ , it is available on a 16″, 18″, or 20″ sterling silver snake chain with lobster clasp. Be own of the first to own this special design.